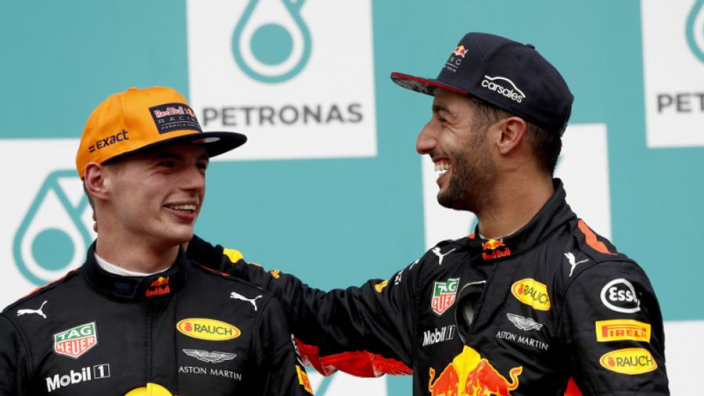 Max Verstappen has stressed that Red Bull must remain positive for the Chinese Grand Prix tomorrow despite the fact he and Daniel Ricciardo will start fifth and sixth on the grid behind both Ferrari and Mercedes drivers, with particular distance between them and the Scuderia. Qualifying took place at the Shanghai International Circuit on Saturday morning, and it would be Sebastian Vettel and Kimi Raikkonen of Ferrari who would exchange the pole position with no significant threat coming from Mercedes or Red Bull. Vettel eventually finished with the fastest lap to claim pole, and was significantly ahead of both Verstappen and Ricciardo as well as the Lewis Hamilton and Valtteri Bottas. The Dutchman, although recognising the impressive speed of Ferrari, insists Red Bull need to remain positive. "It wasn't too bad compared to Mercedes, Ferrari were just way too quick," said Verstappen. "Somehow they have found a turbo button on the straight because they are really quick and still in the corners they are reasonably quick. "They have found a really good package this weekend. In the race we should be closer on top speed so hopefully that will help a bit. "We have to be positive still. A lot of things can happen and with the strategy, maybe it's a one-stop or two-stop we are still not sure. We know it is different to the other guys." Red Bull got off to a bad start on Saturday as it looked for a while that Ricciardo would not even make qualifying after a turbo failure, but the team rallied around the Australian and eventually helped him to a sixth-place finish. Boss Christian Horner was full of praise for his team after they remarkably replaced Ricciardo's engine within a couple of hours. "What they have achieved today is miraculous, getting the engine turned around, dressed and onto the car," said the Red Bull principal. "Seeing Max's mechanics as well diving in when and where they could, that is what a team is all about. "That was the biggest result of qualifying for us, actually achieving that feat. "Fifth and sixth and we were pretty close to Mercedes. Ferrari have tremendous pace here this weekend. We will be starting the race on a different tyre and strategically that could be quite interesting."